“Hey you’ve got to check out this game, you shoot Satan in the face a bunch” High Hell was announced at the most recent PAX and it came out with all of the intensity and drama of kicking a door in. The game launched nearly two months later and it’s been a wild ride of drug lab clearing explosions. I got the chance to talk to Terri Vellmann --one of the developers on the project-- to learn a little more about one of 2017’s shootiest games. Why don’t you start by telling us a little about yourself. Who is Terri Vellmann? Mostly I'm the heir to the Vellmann Industries' massive fortune. That allows me to spend time doodling around, making computer games and retweeting game gifs on twitter. Currently I'm based in São Paulo, Brazil where I'm enjoying the last bit of cool weather before the summer rolls in and everything becomes unbearable and I ask myself over and over - why don't I have AC? I heard a rumor that you were a muralist before. Is this true? Why did you switch over to games? I've done a lot of illustration across various mediums, murals being one of them. Though I haven't done one in a while, I wouldn't say I've stopped doing them and switched over to games, I'd rather be open to doing them both. I've definitely been doing games a lot more than anything else though. I like how you can jump from role to role throughout a project, and really once you start having ideas for games it’s hard to turn that off. I feel like with every other medium I've dabbled in, I kinda had a specific direction I wanted to pursue, but with games anything feels exciting. I can't think of a genre I wouldn't want to work on. High Hell is a lightning fast shooter about clearing drug labs and murdering the devil. This feels like a departure from your previous game, Heavy Bullets. What made you go in such a different direction? 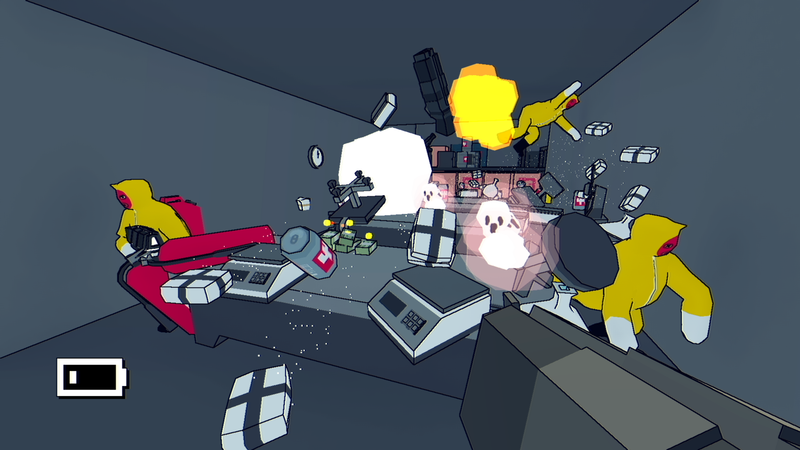 Heavy Bullets had randomized levels and permadeath, which on its own already directs a lot of how the game is designed. High Hell started as me experimenting with level design tools, and trying to get a good flow going before dressing it up with graphics. That came about after I spent some time working on Goblin Uzi, which I ended up dropping because I didn't find how it played engaging, and I spent a lot of time fighting the level generator to set up scenes that would be trivial if they were just handmade. Also in both games I teamed up with Doseone but in High Hell he got involved earlier and had a bigger hand in game designing and world building - along with all the sounds. This game is published by indie super-publisher Devolver, what’s it been like working with them? They're amazing. They're very open about what they're doing on what to expect from releases, and are always genuinely excited about their games. The skype calls are always hilarious. Their focus pre-release is on getting the game to testers, figuring out what kinda of localization can work, getting things setup and working out how to get the game in front of people's eyes. After release there's that big push with their PR partners to make some noise, and in the long run they manage the sales, score some deals and try to keep momentum up. You’ve got a good chunk of games up on itch.io and ones that people might recognize. What are these games and why are they on itch.io? 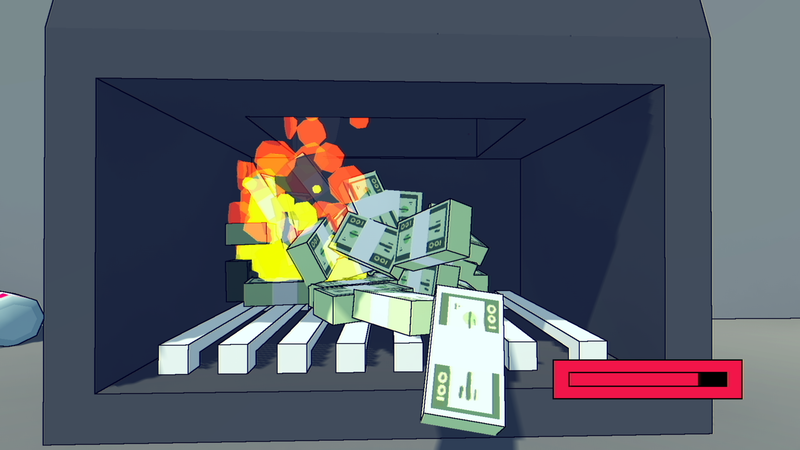 They range from small games, game jams, failed prototypes and a couple commercial releases under the Devolver account. Itch is one of the most important partners of independent game development. Discussions are open, it has a bunch of features that work super well, there aren't a ton of ads plastered everywhere and the community is pretty great. So thanks for all that, itch.io!